Amber Lutui oversees all of the operations at Xurli, and manages customer care and fulfillment for Xurli’s quickly growing customer base. Ambers leadership skills ensure that each department at Xurli gels together cohesively. With more than 19 years of experience in administration and human resources, she has been with Xurli from it’s earliest years of development and is exhilarated by the expansion that it has seen in the last few years. To create a company culture that is unparalleled, where colleagues have an extraordinary place to work. appreciation and value for each and every Xurli customer. To increase productivity throughout Xurli within each team, department, division and company as a whole. Her commitment ensures an extraordinary customer experience for all Xurli clients. 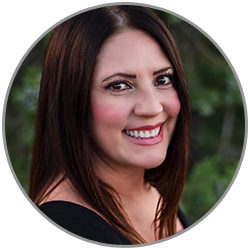 Amber is a Utah native and studied English Literature at Dixie State University from 1997-1998 She enjoys the beauty of southern Utah and has chosen St George Utah as a great place to raise her family. At home she loves being a wife and the mom of two great kids. She enjoys cooking for her family and is training for a half marathon.